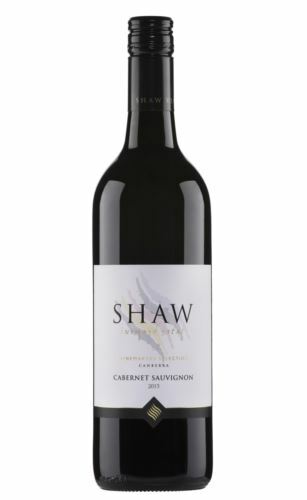 New look labels for this range from Shaw Vineyard Estate with a soft watercolour watermark motif and repositioned logo. A deep garnet colour and leaving more than just a few legs on the side of the glass. Plush nose filled with blackberry, cassis, green capsicum, sweet mulberry and a little cedary spice. A full weight palate with blackberry fruit, briar and rounded out with fine spice. Plenty of grumbly tannins rumble along for a pleasant, easy going cabernet experience.